The HRP-4 humanoid robot is the latest from Kawada Industries and Japan's National Institute of Advanced Industrial Science and Technology (AIST). HRP-4 has the lean build of an athlete; take a look at the following video and marvel at its quickness. 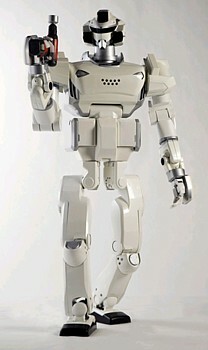 HRP-4 is five feet tall and has 34 joints; at just 86 pounds, it's just built for speed. 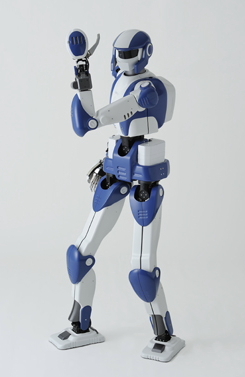 Compare HRP-4 with some of AIST's earlier models; for example, learn more about the HRP-4C robot woman. And who can forget the robo-cosplay of HRP-4C as Hatsune Miku? Readers may also recall the HRP-3 Promet Mk-II robot, a hard-working blue collar robot.